The glaciers and mountains create a pretty picture of Puerto Natales. Renowned for its hiking, cafes and archaeology, this city welcomes all visitors. Are you looking for specific amenities for your getaway? Many of our holiday rentals feature full kitchens and laundry facilities. Fly into Puerto Natales (PNT-Teniente J. Gallardo), the closest airport, located 1.7 mi (2.8 km) from the city centre. Can I rent Houses in Puerto Natales? Can I find a holiday accommodation with internet/wifi in Puerto Natales? 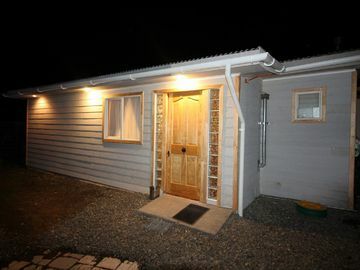 Yes, you can select your preferred holiday accommodation with internet/wifi among our 2 holiday homes with internet/wifi available in Puerto Natales. Please use our search bar to access the selection of holiday rentals available.